This option is a little bit more difficult to find, but there are a few international destinations that offer 1-3 nights aboard a houseboat. One of these places is in India, where couples, families, or friends can book a trip through lagoons and canals around Alleppey. These boats are all air-conditioned and made to provide comfort and luxury with spectacular views. A few nights on board one of these houseboats will run you anywhere from $158-$500. 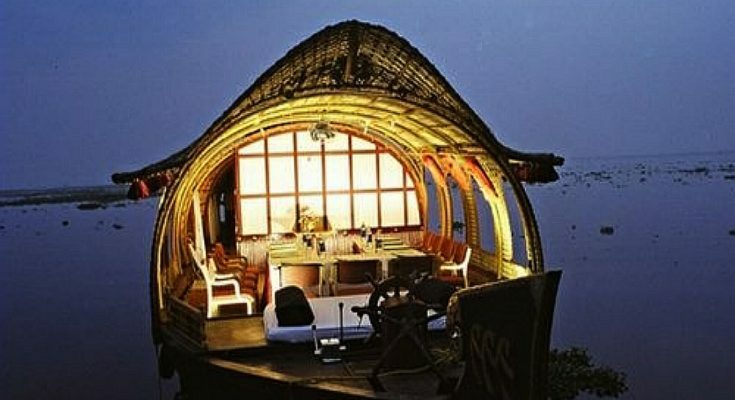 These houseboats used in India are unique, based on older boats that were constructed using knots (no nails were used). They are airy, with plenty of windows, and come with a complement of staff who will provide meals and ensure your stay is enjoyable. Interested in visiting India? You can begin planning your dream vacation by visiting Lakelands Cruise. There are also other options, such as the rent-your-own houseboat cruise trips, common along the Eastern coast of the United States, or the self-drive option offered by companies like Le Boat, which services Canada and Europe. You can go almost anywhere in the world with these options. Whether you’re looking to try more Asian cuisine, or see ancient ruins in Greece, or simply see the autumn leaves change in New England, there’s a houseboat cruise just for you.